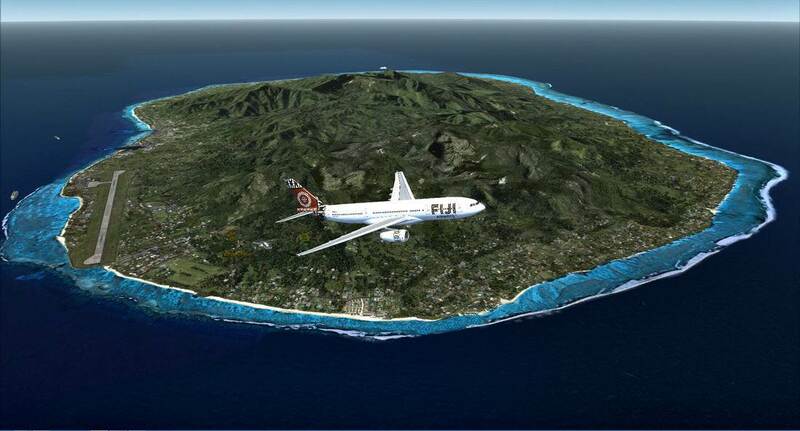 PC Aviator Australia Flight Simulation News: Buy Rarotonga International Airport NCRG for FSX and P3D Here! 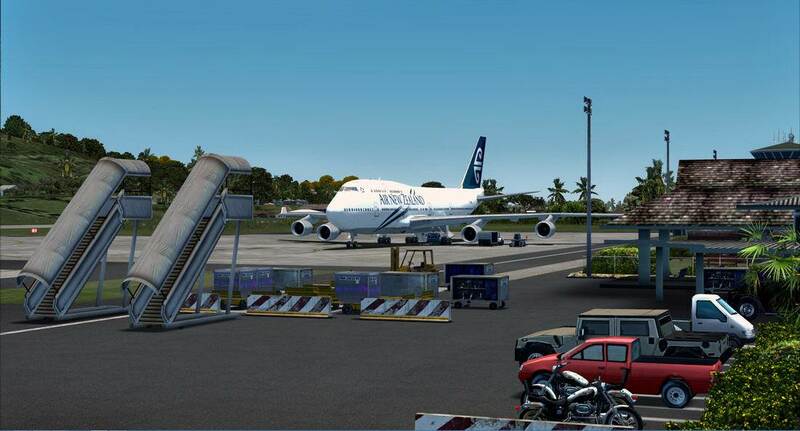 Buy Rarotonga International Airport NCRG for FSX and P3D Here! 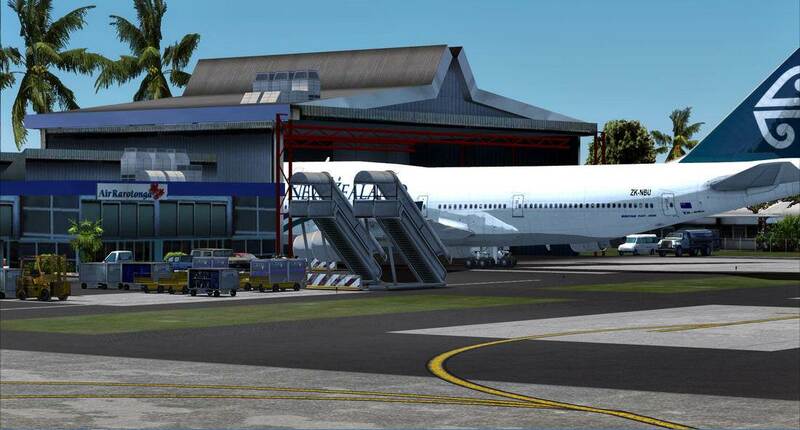 Get your hands on the latest airport released for the Pacific Islands. Download Rarotonga International airport immediately after purchase (backup DVD disk also available)! Rarotonga is the capital of the Cook Islands comprising 15 jewels dotted over 2,500,000 square kilometres of the tropical South Pacific Ocean. 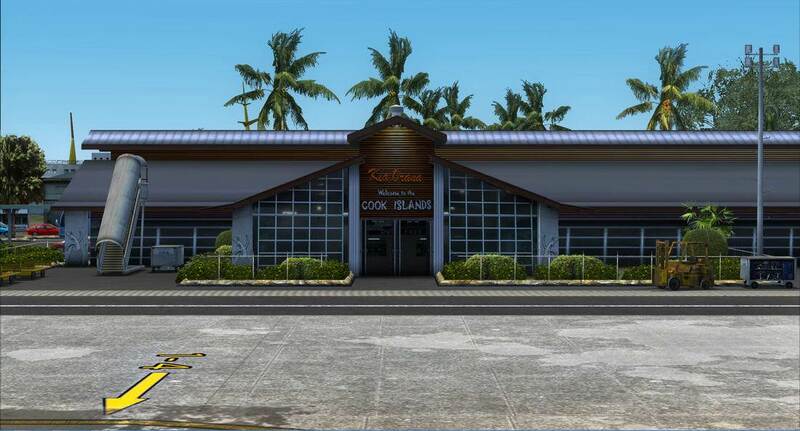 Served in the 1950's by TEAL Short Solent flying boats on the famous 'Coral Route', the Cook Islands entered the jet age with the opening of Rarotonga International Airport's 7,545.93 ft (2,300m) paved runway in January of 1974. Although the airport was officially opened in 1974 it was once the site of a former U.S. World War II base. Capable of handling aircraft up to Boeing 747s, Rarotonga International Airport now welcomes more than 100,000 visitors annually from all over the World. Since the opening of Rarotonga International a number of international airlines have at one time or another served the Cook Islands, the longest surviving carrier of which is Air New Zealand. Others to have served the country with scheduled flights at one time or another include Polynesian Airlines, Air Pacific, Air Nauru, South Pacific Island Airways (SPIA), Hawaiian Airlines, Aloha Airlines, Canada 3000 Airlines, Cook Islands International (operated by the now defunct Ansett Australia), Royal Tongan Airlines. Today, Air New Zealand operates schedules from Auckland, Sydney and Los Angeles, Virgin Australia from Auckland, and Air Tahiti from Papeete. There are AI boat traffic within the island airport area. To maintain exceptional FPS levels, it is recommended that leisure boats be set at 40% or less. AI Road traffic should be set at 40% or less. MyTrafficX (5.4) is our preferred AI traffic engine. However, the product is compatible with any other third party payware and/or freeware AI engines as well. Recommended setting for best performance is 60% or less.